What is the perfect gift for the tripawd who has everything? Try The Gift of Nothing! 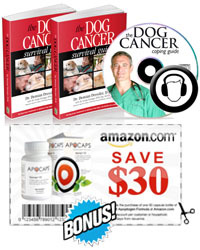 Anyone who takes care of a canine cancer survivor or other three legged dog knows that what is often needed most, is a good laugh and dose of heartwarming sentiments. That is exactly what you will find in the new Gift of Nothing (Special Edition) from Patrick McDonnell, the creator of Mutts – our favorite comic strip. 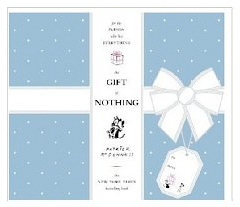 And now, just in time for this year’s holiday season, Little, Brown Books has come up with a new, “no need to wrap” gift edition of the New York Times bestseller – The Gift of Nothing.